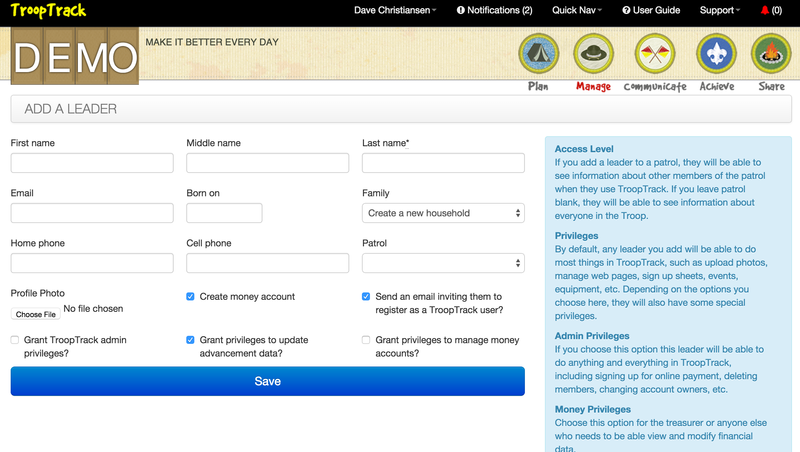 Adding new members is easier than ever thanks to our latest enhancement. 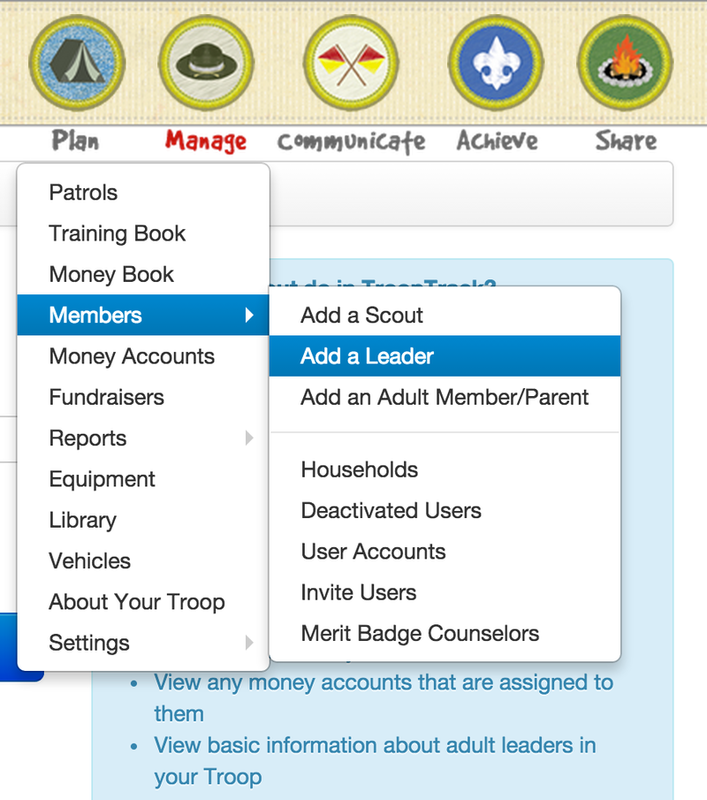 Now you can choose between adding youth, adults, and leaders when you add a member (see screenshot below). We will add sensible privileges to leaders automatically and you will be able to choose specialized privileges (admin, treasurer, or advancement) which will expand their privileges further.